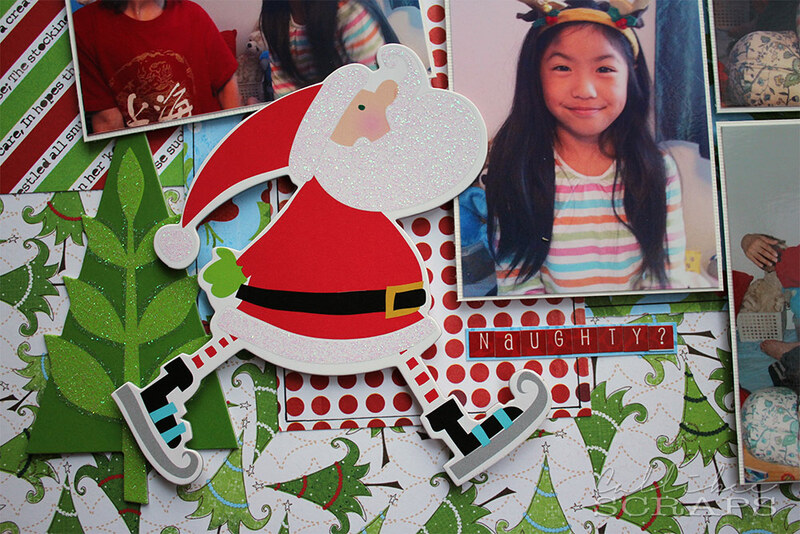 Callibee Scraps: Christmas in March? After three months, I finally hunkered down and got a Christmas layout done. Two pages, actually. What a feat. I'm not big on holiday pages and Christmas is the worst. Don't get me wrong; I love Christmas as a holiday, but I seem to difficulty when it comes to scrapbooking the event. Dark, indoor, repetitive photos and so many that I don't know which ones to put down on the page. 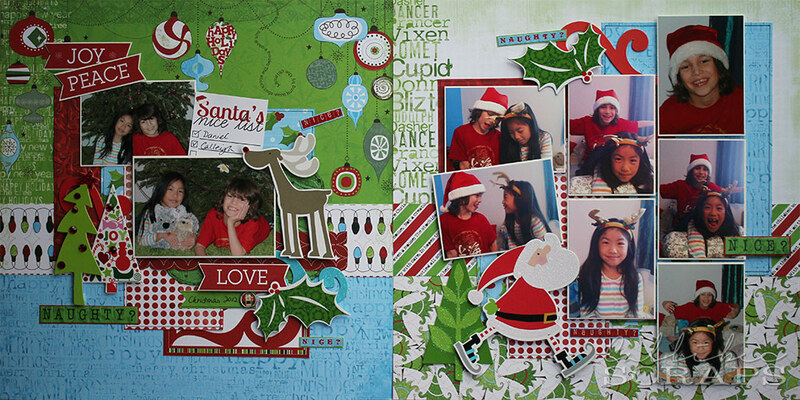 For this double pager though, I have two wonderful subjects, so it was easier to get done. When Miss C and her cousin get together (which is not often as one lives in the UK and one here in HK), they are thick as thieves. It's so nice to see the interaction. Like brother and sister, without the fighting. I guess it's because they only see each other for a few weeks out of a year. 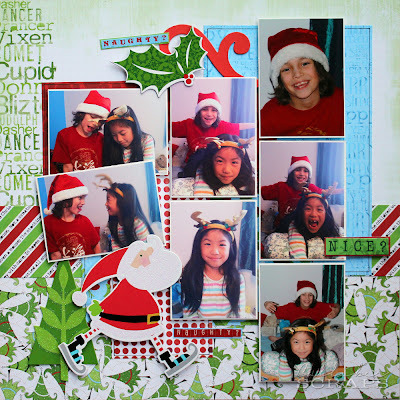 I don't usually do a lot of double layouts, but this one had too many cute photos not to be included. 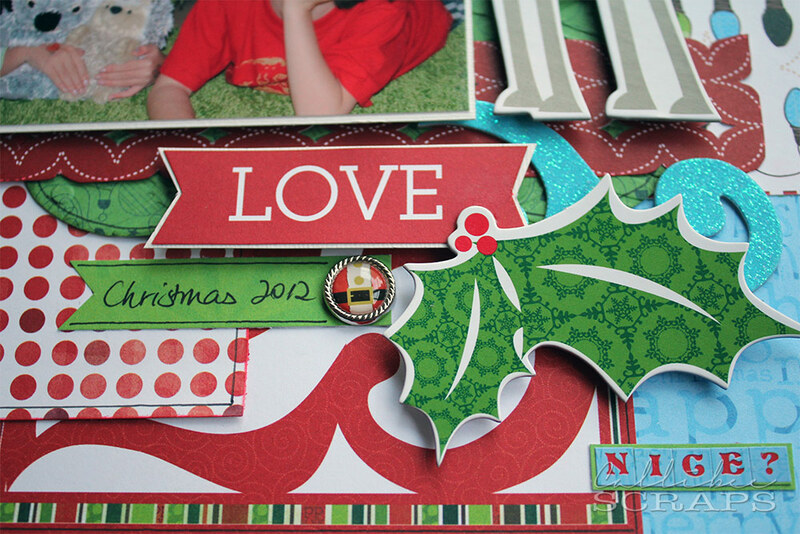 I did them both in contrasting papers, but kept the embellishments similar to keep it cohesive. I was originally going to do two separate layouts, but in the end, decided to combine them both. That way, I could add in more photos, and not worry too much about embellishments or a title space. 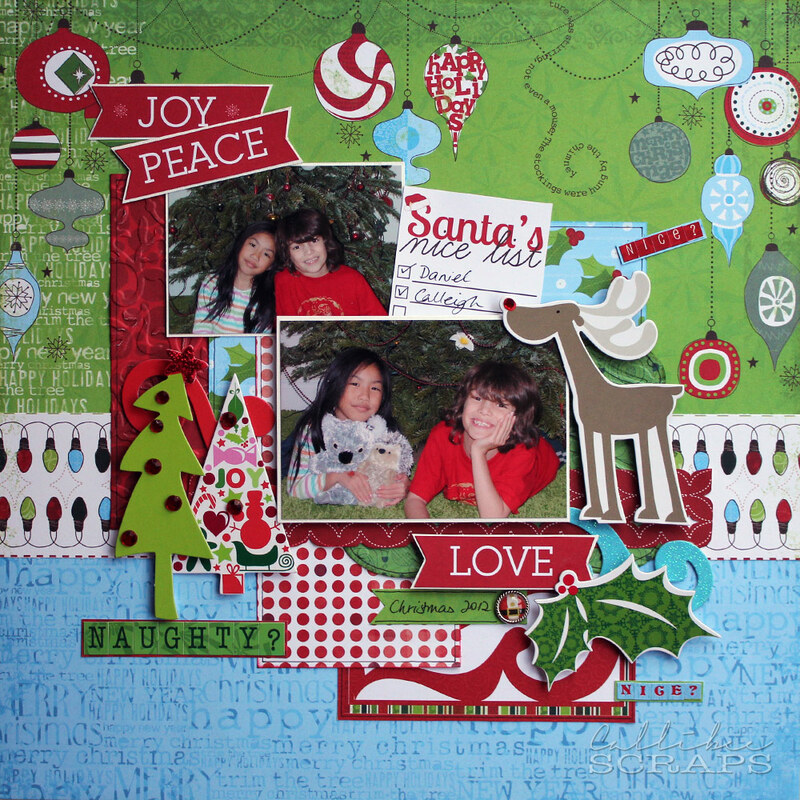 The chipboard, brads and papers are super cute. What could be better than Father Christmas on skates? I know for sure I have one more Christmas layout to do for 2012. Let's see what time of year that one gets done. Haha.